Pavleta Stefanova-Yordanova holds an MS degree in Social Work and Social Management. She has worked as a social worker and as director of social services for the community. She has extensive experience working with children, youth and adults from vulnerable groups. 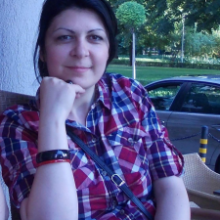 She is a representative of “ASSIST – Assistive Technologies” in Ruse, Bulgaria.